In today’s world, it is an unfortunate reality that food products can be the subject of contamination, as well as subsequent recall and litigation. This issue poses a problem to all sectors of the food industry: produce (recent salmonella found in cucumbers), beverages (e. coli found in bottled water), fresh meats (e. coli found in ground beef), and frozen desserts (listeria in ice cream and frozen treats). As has been noted by commentators, the U.S. Food and Drug Administration’s (“FDA”) policies have been largely reactive on food contamination, rather than proactive. Last week, however, FDA implemented new rules to the Food Safety Modernization Act which hold companies to more stringent standards. What are these new standards, and how may they be used in litigation? The compliance date for the new regulations vary, generally depending on the size of the business, between one and three years after publication of the final rule. Thus, generally, businesses with more than 500 employees and more than one million dollars in annual sales per year will have one year to comply with FDA’s new regulations. While the new regulations are lengthy and should be reviewed by food manufacturers in connection with their counsel, this blog post is intended to address a few of the significant aspects of the regulations. Third, to ensure compliance with the preventive controls, a food manufacturer must establish written monitoring procedures. 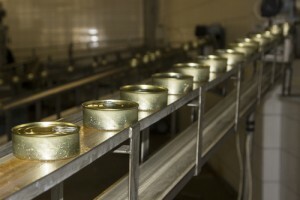 Fourth, a food manufacturer must implement written “corrective action procedures” which must be taken if the preventive controls are not implemented properly. The regulations which will go into effect not only impact how a company manages its business, but will also have a significant impact in the unfortunate event it faces litigation as a result of food contamination. The preventive controls, which are required to be written, as well as all other written documentation, such as whether the manufacturer complied with its own preventive controls, will likely prove to be discoverable in litigation. This discovery may be relied upon to argue that a company was negligent and failed to comply with federal regulations and/or its own policies. Equally, however, these documents may prove to be helpful in showing that all proper precautions were taken, and the manufacturer acted reasonably under the circumstances. It is therefore vital for food manufacturers to proactively ensure its internal policies and procedures are modified to the extent necessary to achieve compliance with the new regulations. We here at Cozen O’Connor stand ready to help your business navigate this shift in tide.